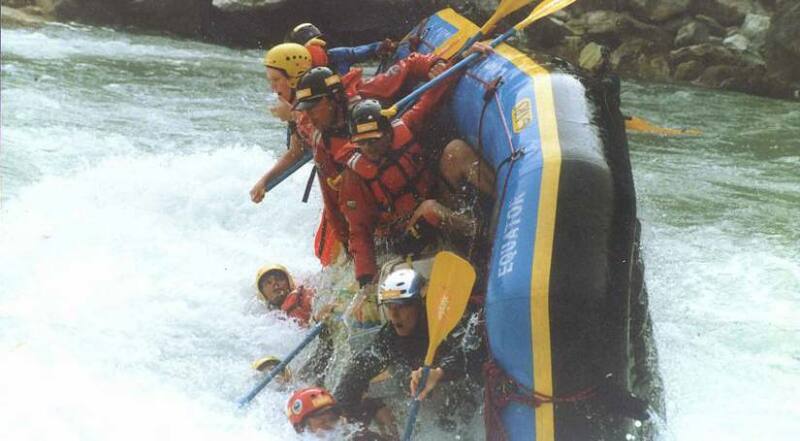 Kaligandaki River rafting is one of the most challenging but the most demanded and loved sports in Nepal. The river was named as much-revered goddess Kali and descending from the deepest gorge in Asia. This fabulous river (class 3 to 4+) offers a mixture of astounding mountain views and pure adrenaline with a full immersion into the wilderness. This river brings the water of 108 Kunda (religious spouts) from Muktinath in lower Mustang. It is one of the most worshipped pilgrimage sites in the Himalayas. Mustang is a pre-historic site that poses fossil of ancient marine creatures and sometime its found in the river beds down below. Kaligandaki River rafting gives you such a pleasure of combination of adventure along with the spiritual aspect as this river is named after the goddess Kali. While having rafting trip in this River, you also can explore the unique culture of people residing near the River. the people residing along the river will venture down to the riverbank to see your journey through the remote mountain wilderness of Nepal. The trip is combined with Pokhara excursion and rafting in this River.